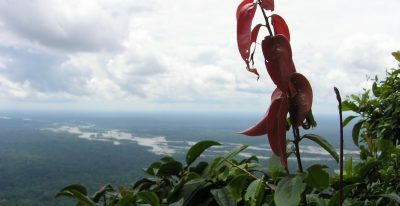 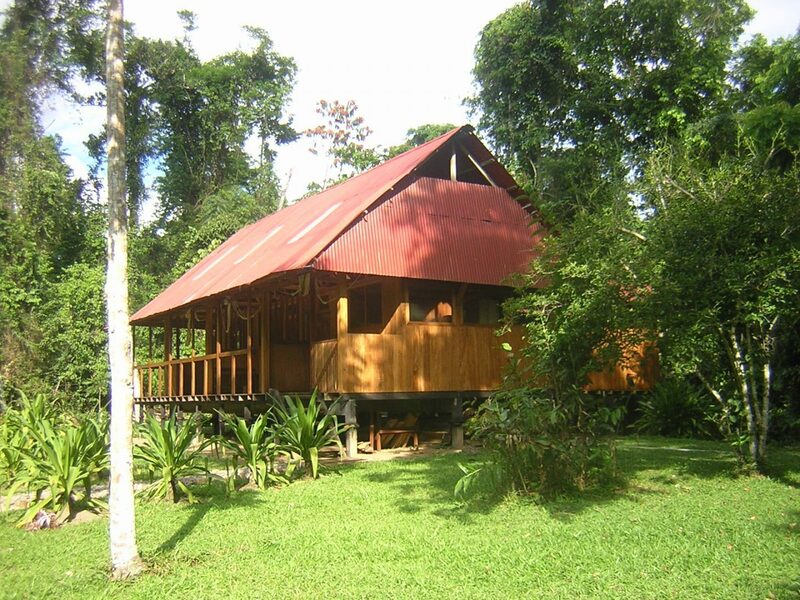 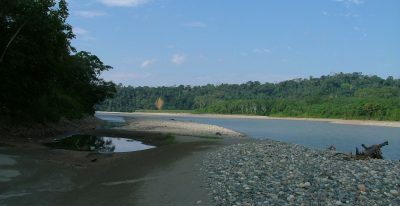 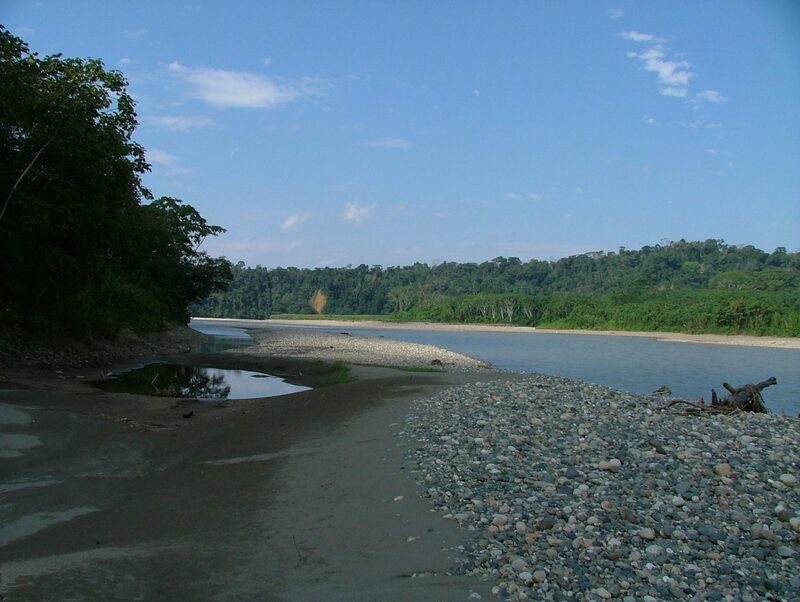 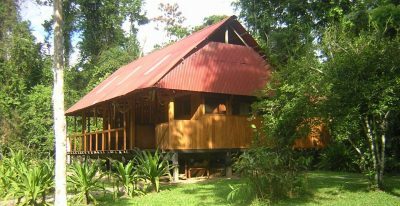 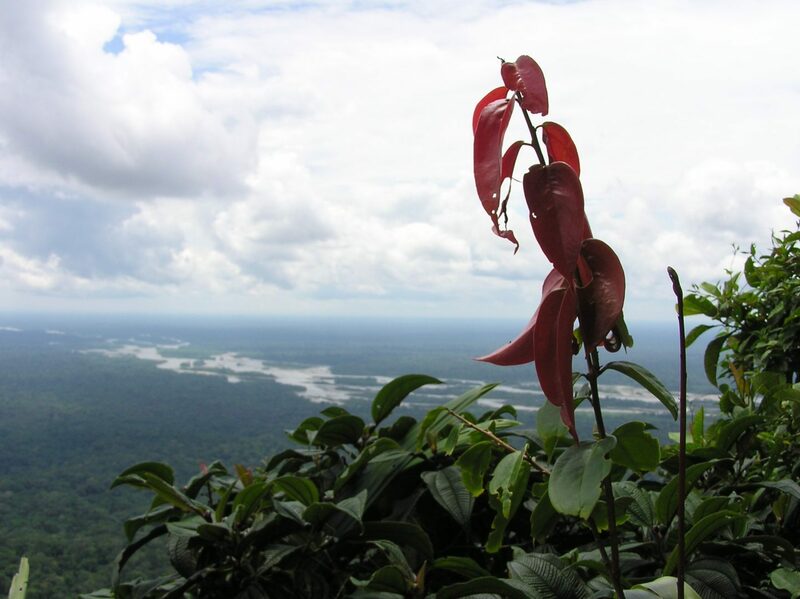 The Pantiacolla Lodge enjoys an ideal location, in the heart of a forest overlooking the Upper Madre de Dios River. 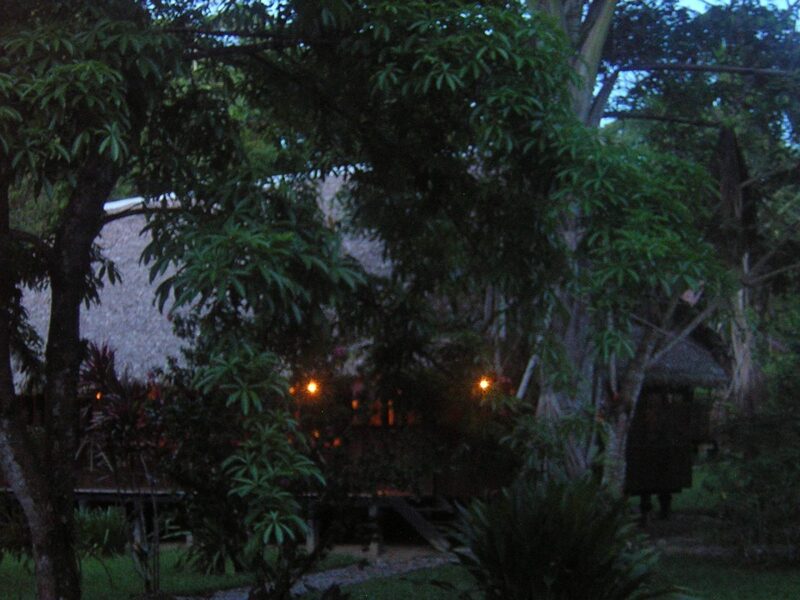 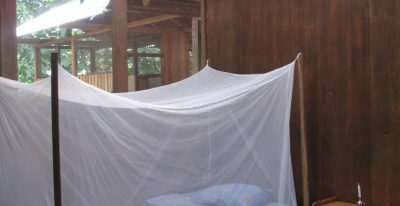 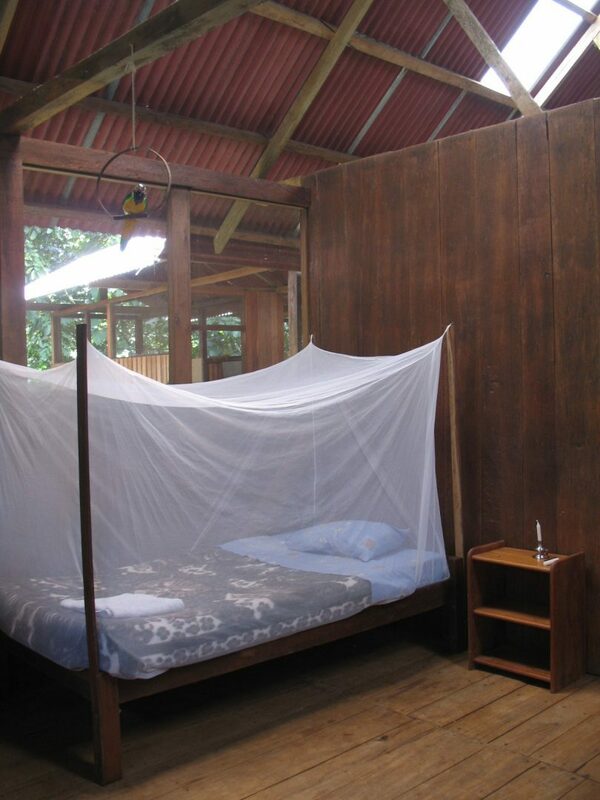 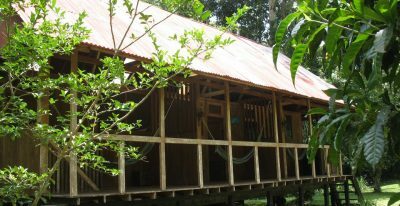 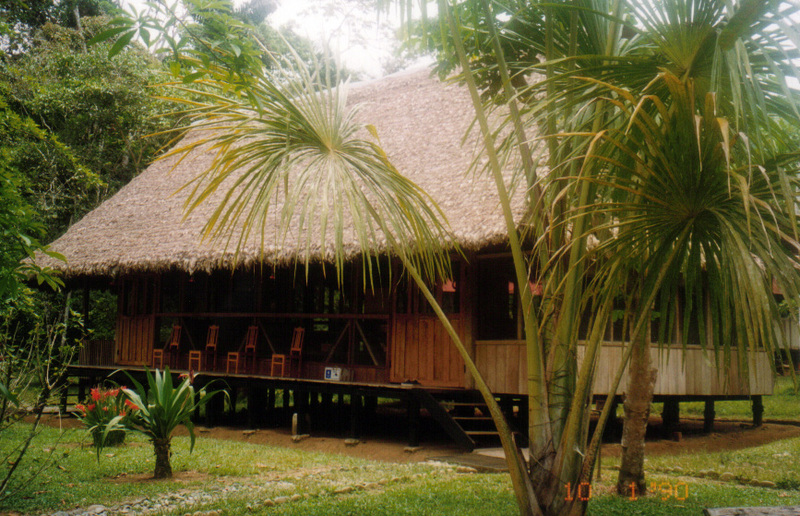 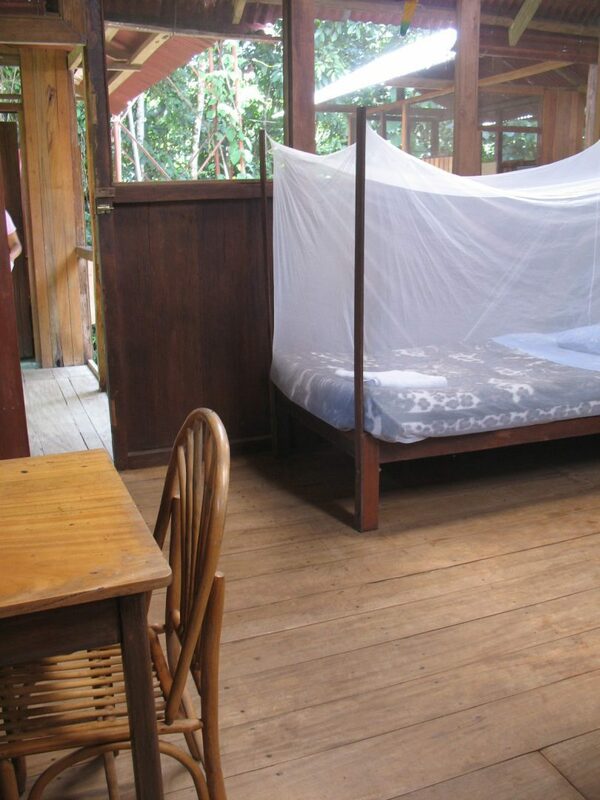 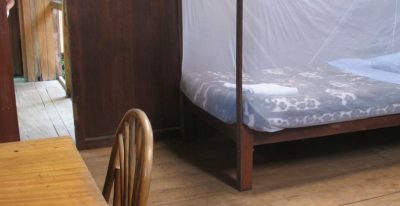 This rainforest lodge sits at the Manu foothills at the base of the Pantiacolla Mountains. 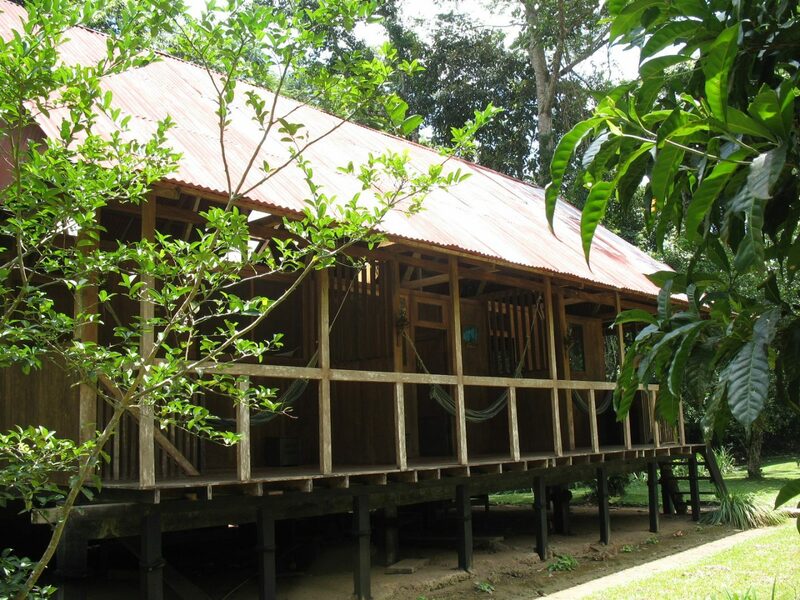 Each of the 14 bungalows provide accommodation for two people. 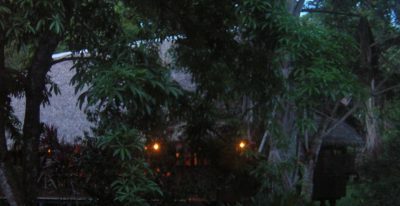 Paths connect the bungalows to showers and flush toilets. 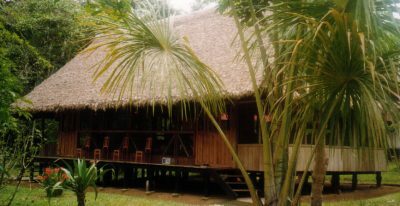 The lodge also has a dining area and bar.